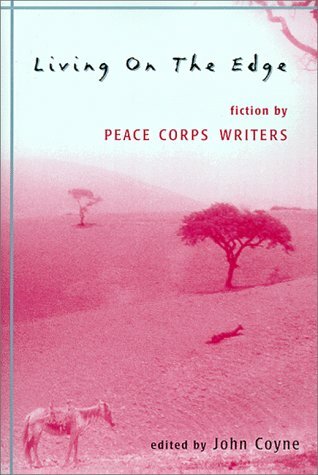 Living on the Edge: Fiction by Peace Corps Writers est le grand livre que vous voulez. Ce beau livre est créé par John Coyne. En fait, le livre a 317 pages. The Living on the Edge: Fiction by Peace Corps Writers est libéré par la fabrication de Curbstone Books. Vous pouvez consulter en ligne avec Living on the Edge: Fiction by Peace Corps Writers étape facile. Toutefois, si vous désirez garder pour ordinateur portable, vous pouvez Living on the Edge: Fiction by Peace Corps Writers sauver maintenant. Living on the Edge contains seventeen remarkable stories by writers who served in the Peace Corps, including well-known authors such as John Coyne, John Givens, Norman Rush and Paul Theroux, as well as work by exciting emerging authors like Mark Jacobs and Marnie Mueller. All these stories reflect the impact the Peace Corps experience had on former volunteers who write across cultures in the literary tradition of Joseph Conrad, E.M. Forster, and Paul Bowles. Each author has included a commentary on how he or she came to write the anthologized story.